Bird watching is one of the most tranquil hobbies a person can have. Whether you are enjoying the peace of the outdoors or simply the comfort of your front stoop, it is a pastime that forces one to relax and bask in the present moment. Arguably the only real piece of equipment one needs for birdwatching is a solid pair of binoculars. Choosing the right one for you is easier said than done, as the range of prices and features on binoculars is absolutely immense. For those with the resources to fully engage in the hobby with little concern for price, there are binoculars on the market that cost more than most mortgage payments. Kudos if that’s you, but for many, this is simply not an option. Luckily, it isn’t hard to find a solidly built pair of binoculars for just about any budget level. Before rushing off to buy the first brand-name pair of binoculars on the market though, there are several factors you should consider. First and foremost, what type of bird watching will you be doing? If you plan on staying close to home, there are all sorts of extras that needn’t be lumped into your purchase. For example, top of the line binoculars has innumerable lens coatings, waterproofing, and fog proofing features for use in rugged environments. Consider too the fundamentals. Good image quality and ease of use. While more expensive binoculars may feature an array of cool-looking bells and whistles, ask yourself if they are really necessary to you as a consumer. Don’t be drawn in by brand names and aesthetics alone. Lucky for you, we have assembled a list of some of the best binoculars on the market. They encompass a whole array of prices and features, but all promise an optimum viewing experience. Looking for something rock solid but small enough to fit into your pocket? The Wingspan Spectator provides powerful 8X32 magnification, which allows for terrific clarity at up to 1,000 yards. What's more, Wingspan Optics is so confident in these binoculars that they provide a lifetime warranty and a 30 back guarantee. A durable exterior with handy, non-slip surface completes these ideal birdwatching companions. The perfect balance of value and quality. The Spectator packs a lot of power into a small package. At less than five inches in length and a mere fifteen ounces, this is one of the smallest pairs of binoculars on the list. Don't let that fool you though. They provide the visual acuity of a larger pair of binoculars, with a wide view quickly adjusting to tight magnification for detailed viewing. With a price point in the mid double digits, the Spectator is literally hundreds of dollars less than some of the higher end binoculars on the market. 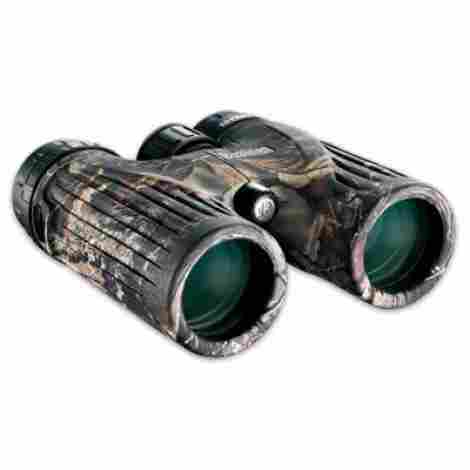 This makes it a solid investment for a novice just looking for a pair of binoculars for casual use. If you're willing to spend a bit more, consider the Diamondback by Vortex Optics. A bit heavier at one and a half pounds, these come fully loaded. Not only are the lenses fully waterproof and fog proof, but they perform beautifully in low-light conditions. That's something a budget binocular just can't give you. 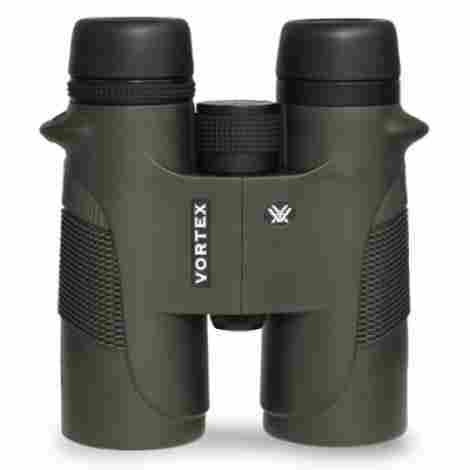 Vortex also provides with a generous warranty on all their products, and will repair or replace broken binoculars no questions asked. All this for a price that still falls far below high-end binoculars. When observing wildlife, timing is everything. Not having binoculars that perform well in different conditions can make all the difference when looking out for especially elusive birds. Luckily, the Diamondback's high-quality fog proof lenses provide a crystal clear field of vision even at dawn or dusk, so you'll never miss a thing. Few words are more magical to a customer's ears than 'Lifetime Warranty'. The Diamondback has it. 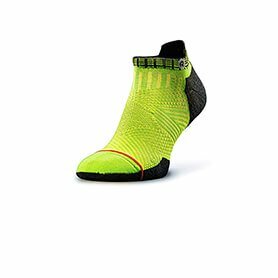 Take these into the roughest conditions, on the longest hikes, without worry. Vortex Optics stands by their products in a big way, so you can rest assured that your investment is protected. Even though they aren't the cheapest pair of binoculars on the list, the Diamondback has numerous points in its favor that make it worth the extra money. From its crystal clear field of vision to its high performance in low lighting, this is a real winner. The lifetime warranty is just icing on the cake. 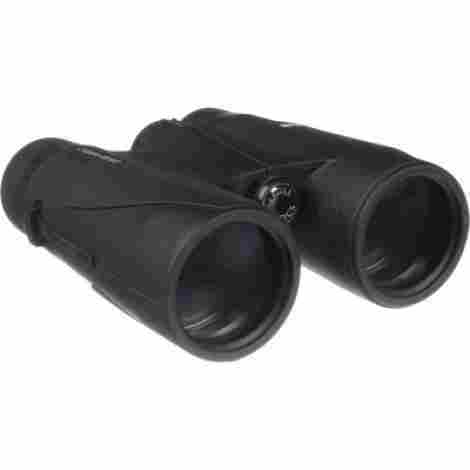 This is a handy pair of binoculars especially designed for the outdoor user. The lenses are coated with a special rain and fog preventative finish. That means that any moisture, whether it be from rain, fog, or simply condensation from a user's breath, will simply bead up and disperse without obstructing your view. Additionally, Bushnell backs up the product with a lifetime warranty. For those who want to accessorize with other outdoor gear, the binoculars come in an optional camouflage model. Cheaper binoculars may advertise as 'water resistant' meaning they're still susceptible to damage. Slight moisture from morning fog or steam can still get into the binoculars and cause damage. Not so here. From the lens to the body of the binoculars themselves, the Bushnell Legend holds up beautifully in outdoor conditions. Though these are on the lower-end of the price spectrum, they aren't built like it. The lenses are made from high-quality ED Prime glass for razor-sharp clarity at up to 10x magnification. View each detail of a bird's plumage in full beautiful color. 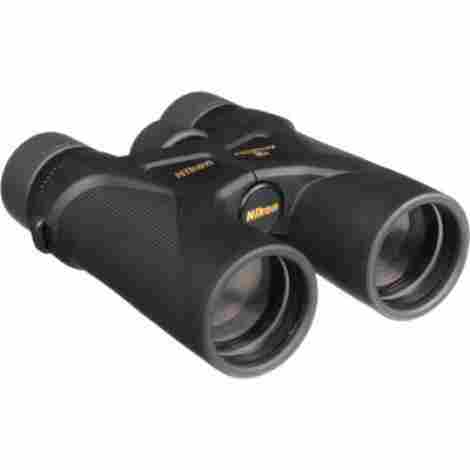 Bushnell stands by the visual performance of these binoculars with their lifetime warranty. These succeed admirably in the 'bang for your buck' department. The price is right for a novice birdwatcher looking to take a step up from the basics without spending hundreds of dollars for a high-end brand name pair of binoculars. Top-of-the-line models, while offering precision optics, cost many times over what you're paying here. Meanwhile, these provide a dependably solid user experience. The Celestron Nature provides the full package for a surprisingly reasonable price. 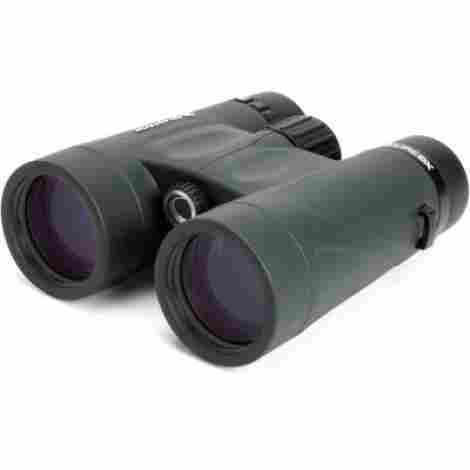 It covers all the bases for an intermediary pair of binoculars: Waterproof, durably built, easy to focus etc. It goes above and beyond by shipping not only a carrying case with a purchase but also a rain guard, neck strap, lens cloth, and objective lens cap. Additionally, these binoculars can easily mount onto an adjustable tripod (Sold separately) for long-term stationary birdwatching. No matter the user, these binoculars provide a great fit. Bird watchers who like to stake out one spot for an extended period will love the optional tripod mount. Similarly, users who wear glasses will appreciate the comfortable, soft twist-up eyecups which easily accommodate their needs. While hunters and other users may value a wider field of view, bird watchers are a different breed altogether. A detailed, close field of view is necessary to pick out the minute details of their chosen subject. The Celestron Nature binoculars provide an optimum viewing experience in this regard, thanks to the 6.5' close focus design. 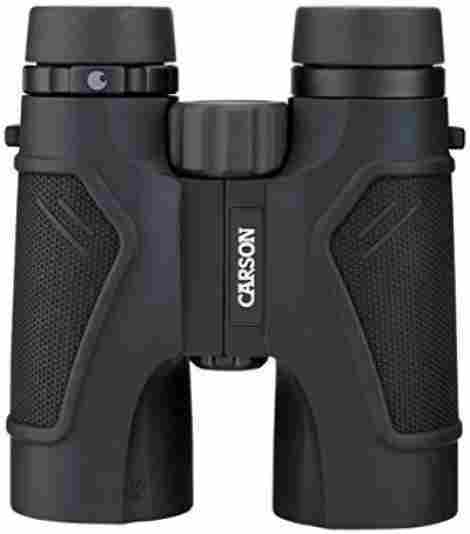 The Celestron Nature binoculars provide yet another example of a reasonably priced product giving users a premium experience. 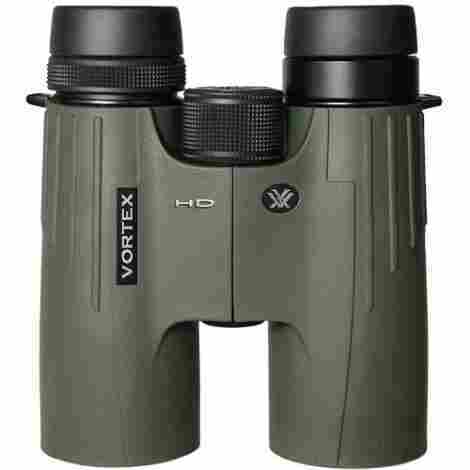 Along with the waterproof, durably built binoculars themselves, users also get the entire kit of accessories listed above, providing significant added value for their dollar. For a bit more money users who want a sleek, high definition viewing experience should definitely check out the Carson 3D series. These waterproof binoculars are built to last, with comfortable grooves for the thumb and an unbeatable viewing experience. They come with a variety of durable extras, including a neck strap and shoulder harness. Though heavy, the 3D series is equipped with a high-quality custom-fit carrying case that keeps your binoculars safe and secure at all times. As with most other items on this list, these are backed by a lifetime money-back guarantee from Carson. These binoculars are specifically built with long-term use in mind. The textured body is indented with thumb grooves which make for a more comfortable fit in your hand, reducing fatigue. The eyecups have additional padding for more eye relief. This also reduces discomfort and fatigue during long sessions of bird watching. The 3D series is perfectly suited to rugged outdoor use. The binoculars themselves are armored with a heavy rubber exterior that makes it especially resistant to shock. Furthermore, the case is higher quality than one might expect. Its custom fit the binoculars with enough padding to keep them safe during long journeys. While far from the most expensive pair out there, users should be willing to part with a bit of extra cash for these. Those who do will be rewarded with a far better than average viewing experience along with well-engineered accessories that provide a terrific overall experience. The binoculars are tough and built to last, with a lifetime warranty to boot. An expensive, but smart buy. In moving to the upper echelon of price and quality, we find the Vortex Viper. For those who take their birding seriously, the Viper showcases the precision craftsmanship and quality materials one would expect from a high-end pair of binoculars. The hard rubber exterior protects while also making maneuvering with them more silent and stealthy when compared to a hard metal case. The interior provides a seamless visual experience, while also maintaining a watertight case that also protects against any degradation of the internal parts. Some binoculars provide great clarity but are difficult to use. focusing is too rapid and magnification too extreme. This can result in shaky images and wasted time to try to locate what you want to focus on. The Vipers have butter smooth focusing and a wider magnification, allowing users to minutely adjust the view from wide to tight without overdoing it. Typically when a consumer pays more for a pair of binoculars, the extra money is going into the type of glass used in the lens. The Vortex Viper's lenses are crafted from quality High-Density glass. Compared to other lenses, these provide better control in delivering light wavelengths to the human eye, resulting in the cleanest, most vibrant image possible. These are definitely a few steps up in terms of price and quality. The seasoned Birder will love the image quality and precision workmanship of the Vipers. Their lightweight design also makes them quite user-friendly despite the intimidating price point. As with all other Vortex Optics products, a solid warranty provides peace of mind. Nikon is one of the most venerable names in the field of optics. Their cameras and binoculars are known all over the world. That said, the price of these basic birding binoculars may surprise you. For those on a budget, the Action Extreme provides a rock-solid viewing experience with powerful 7X35 magnification and a comfortable eye relief for those who wear glasses or have sensitive vision. Nikon backs these, along with all their products, with a solid 25-year warranty. Those who want to catch elusive, fast moving birds in the wild will appreciate the Action Extremes Wide optics. The visual experience provides for an especially generous panorama, allowing users to scan and monitor a large space at once. In addition to birding, that makes these binoculars perfect for admiring the grandeur of the Great Outdoors. These are seriously comfortable binoculars. Though a bit larger than other options, the Action Extremes have a comfortable weight and heft in the hand, while the wider view allows users a luxurious viewing experience that won't tax the eye. Meanwhile, the hard rubber exterior protects while providing a comfortable hand feel. These are surprisingly affordable binoculars, especially given the name recognition of Nikon. As with other binoculars, they come complete with case and strap, so everything you need to take these out in the woods comes in the case. The 25-year warranty by Nikon only sweetens the deal, making these a great choice for the budget-conscious birder. The Denali by Eagle Optics features a fog and waterproof design housed within a tough exterior that is durable and shock resistant. A diopter in the right eyepiece allows users to adjust to vision differences between their eyes, a neat feature not found on many comparable products. Additionally, it can be affixed to a tripod with the addition of a separate add-on that can be purchased. All of this is protected by a 'Platinum' warranty from the manufacturer. A diopter on the right-hand side of the Denali allows for minute changes to each respective viewer. Rather than focusing both at once, this allows users to fine-tune the binoculars to their own preferred settings, making it great for those who suffer from eyesight that is slightly worse in one eye compared to the other. This is a slightly larger, heavier model than others featured on the list. While cumbersome, the larger size makes for a sharper, clearer image. In particular, the external lens is a bit larger than you typically find. This allows for a wider field of view and greater visual clarity. Additionally, a larger lens makes for greater eye relief as the user has a more superior field of view. Thanks to the comparable lack of brand name recognition that Eagle Optics has compared to other companies, the Denali is surprisingly affordable given the clarity of the image it provides. While larger than other binoculars, its ideal for picking up minute images in all their brilliant color and detail. The Prostaff is a terrific 'meat and potatoes' pair of binoculars for those who want something simple at a reasonable price. 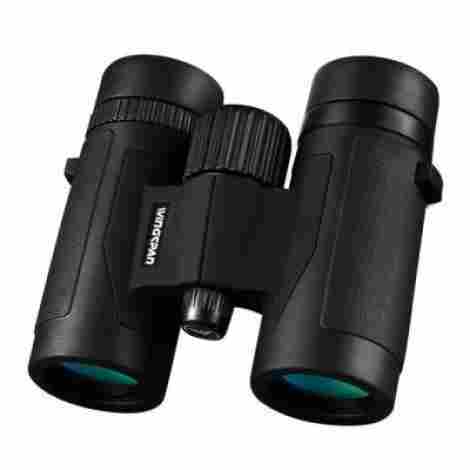 8X magnification gives a solid field of vision without shakiness while an internal coating works to prevent diffraction of light inside the binoculars, resulting in a clearer image. While a bit heavier than other models, the Prostaff is lightweight enough to go on long birding expeditions without feeling cumbersome or causing fatigue. The eye cups of the Prostaff are extra long and adjustable. Users can turn them individually to suit their needs. This is especially important for users who wear glasses or have sensitive vision. The comfort of use is complemented by the 8X magnification, which doesn't switch to such a powerful closeup that focusing on the image itself becomes a chore. In addition to their lifetime warranty, Nikon allows for free repairs if your binoculars are damaged. That means that even if something happens to your purchase through an accident completely of your own making, the company will still repair or replace at no charge to you. Now that's protecting your investment. Along with a more basic pair of binoculars comes a more basic price. These will get the job done with the added benefit of the Nikon name and warranty without hurting you too much in the wallet. If you're new to birding and just want something solid that you can depend on for a long time, look no further. If cost isn't a problem for you, Leica may be a manufacturer of interest. This German company has been crafting high-end cameras, binoculars, and scopes for over 100 years. 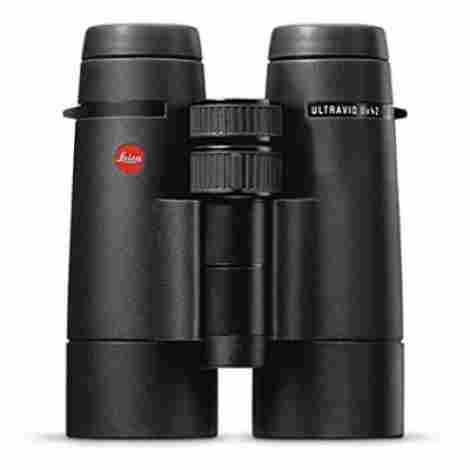 The Ultravid compresses all of the precision engineerings of a Leica binocular into the smallest package possible. At just 8 ounces, the Ultravid takes portability to a whole new level. But don't be fooled, despite their small size they provide an image as crisp, clear and vibrant as any item on this list. This is one of the smallest pairs of binoculars that Leica produces. At under a pound they feel nearly weightless when worn around the neck, making them the perfect companion for an all-day expedition outdoors. Despite its small size, the Ultravid still provides an impressive field of view. As with any Leica product, the Ultravid is a precision-made machine. With an interior that cuts down on the stray light while providing a shockingly wide field of view for such a small lens, you really do get the best image possible for a pair of binoculars as small and light as these. These binoculars are an investment. The Ultravid literally costs hundreds of dollars more than many of the other items on this list. Aside from the fact that its a German engineered precision piece of optical equipment, the Ultravid take it one step further and compresses all of that know-how into the smallest package imaginable! For serious birders only. Binoculars are deceptively complicated little machines. Their inner workings, while simple in theory, require a certain degree of precision parts and engineering that can send purchase prices skyrocketing on some models. As a bird-watcher, having a solid pair is invaluable. But deciding on the right make and model for you is anything but simple. You want to observe every minute movement, each multicolored feather, but not if it means spending thousands of dollars on an item you’re so scared to break that it makes engaging in your preferred pastime stressful! In the list above, we have attempted to look beyond brand names and surface flash to really dig into what makes these models stand out. The ideal pair strikes a perfect balance between quality and cost, with many models running the gamut from eminently affordable to top-of-the-line. Just like fascinating creatures being observed, bird-watchers come in all shapes and sizes. Similarly, the binoculars listed fit all different types of lifestyles. Choosing the correct magnification for your purposes is an integral part of selecting the right binoculars. For bird watchers, this comes down to your preferred field of view. A narrower field of view allows for greater magnification of a more finite area. If you plan on being fairly close to the birds that you wish to observe and you have a steady hand this is the option for you. Binoculars with a greater magnification are perfect for noticing the slight color variations on each feather, or observing the minute movements of an Oriole or Sparrow as it feeds. The downside of this is the overall discomfort of being in so close. Every slight tremor of your hands, each heartbeat, can cause disruption in the image. Since not every pair of binoculars on this list comes complete with a possible tripod attachment, long-term birdwatching can be especially taxing on the user with a narrow field of view binocular. Conversely, going with a lower magnification allows for a greater field of view. What you sacrifice in up-close detail you make up for in comfort and steadiness. Perhaps you aren’t exactly sure what you’re looking for yet, or simply want to enjoy the wonders of nature up close. Regardless, beginners will want a pair of binoculars that ease you into the process. Lower magnification creates an ideal setting for observing the behaviors of birds in a flock or spotting elusive breeds in their natural habitat. For this list we have gathered binoculars that excel either in one function or the other, giving you the choice to pick a model that is ideal for your unique needs. Beyond magnification itself, we have the other inescapable feature that must be considered: Image quality. Binoculars come with a variety of extra features depending on cost and style, but at a basic level, they all work essentially the same way. A magnifying lens takes in light, which is then run through a prism that ‘flips’ the image so your eye receives an image that is right side up. Essentially it is the same concept as a telescope, only a binocular put two of them together. Beyond that, however, quality varies greatly. Good binoculars have mechanisms in place to ensure a crisp, vibrant image at all times. For example, larger binoculars may be more difficult to carry around, but the larger lens collects more available light, making them invaluable in low light conditions, such as bird watching at dawn or dusk. At the same time, binoculars must stand up to environmental conditions such as rain and fog. In order to combat the elements, quality binoculars form an airtight seal around their internal mechanisms. Additionally, most are filled with Nitrogen or another gaseous mix that prevents the interior from forming a vacuum which can attract dust or water droplets. This ensures that colors and details are bright and clear and all times without becoming smudged or indistinct due to environmental factors. Even the most powerful pair of binoculars isn’t worth the cost if it’s uncomfortable to use. This is even more important for users with sensitive eyes or those who wear glasses. A bedrock fundamental of a comfortable pair of binoculars is Eye Relief. This feature is determined by the distance between the human eye and the lens that actually projects the magnified image. If its too close, the user is unable to see the entire image, leading to strain and frustration. Too far and the magnifying capabilities of the binoculars are compromised. A solid pair of binoculars will be constructed to afford an ideal balance between the two. This is especially important for the bird watcher, who may need time to orient themselves to the magnified view first before locating and locking onto the object which they wish to observe. Q: Do different binoculars create images differently? A: Binoculars can be separated into two distinct classes: Roof Prism and Porro Prism. The Prism in question is the reflective surfaces inside the binocular that take in light from the magnifying lens and direct it to your eye. The difference between the two is in the placement of these prisms. For Porro prism binoculars, two prisms are located within each separate tube. They are placed side-by-side so that light travels through them in a ‘Z’ pattern. The benefit of this placement is that no light is lost between lens and eye which creates a far sharper, more vibrant image. The downside is that it is not a space-effective technique. As a consequence, Porro Prism binoculars tend to be larger. Roof prism binoculars are a German -designed alteration to the older Porro design. Prisms reflect from the top of the tube to the bottom as opposed to a side-to-side Z shape. This is far more space efficient. As a result, most compact and lightweight models feature this design. The trade-off is that some light is lost, as the prisms do not feature a completely reflective surface. Less light can mean a slightly lower-quality image. Additionally, roof prism binoculars tend to be a bit more expensive, as the reflective edge needs to be precision engineered to catch the light correctly. A: Your price range depends entirely on how you choose to use your binoculars. Some bird watchers rarely leave their home or yard. In this case, the extra cost of advanced water and fog-proofing, tripod attachments, and durable accessories and craftsmanship are secondary to image. The last thing you want is to spend extra money for features you don’t need. If you plan to be traveling with your binoculars, or regularly spend time outdoors in inclement weather, be prepared to spend a bit more. Additionally, the background of the user should be taken into account. Are you a casual birder just looking to explore nature at your leisure? If so, you needn’t spend extra for magnification you don’t need. Those who are serious about the hobby may be willing to sacrifice some of the comfort of a wide field of view for a more powerful pair of binoculars that gets them up close and personal with different breeds. Q: How do I clean my binoculars? A: The simple answer is: Carefully! Remember that binoculars are specially made to be completely airtight, so never try to take apart your binoculars in any way shape or form. Any disruption of the seal around the internal mechanisms will result in dust and water droplets getting in. You also need to be careful not to scratch the lens. Most binoculars featured here come with a specially made cloth which will allow you to safely wipe smudges or debris from the front lens. What’s more, you shouldn’t have to clean your binoculars. In most cases, a quality pair will coat exposed glass with a film that repels water droplets and other debris. Q: What type of binoculars will give me the best image? A: The larger the lens, the better the image. Remember that no matter how expensive or high quality a pair of binoculars may be when you opt for a smaller more lightweight model you lose at least some of the visual sharpness. If you’re looking for a great image and little else, choose binoculars with the largest possible front lens. Keep in mind that the rest of the binoculars will need to be larger as well to create a large enough tube to feed in all of the light brought in by the lenses. Q: I wear glasses. Do I need to buy a specialized pair of binoculars? A: You shouldn’t have to. Most binoculars provide an adjustable mechanism that allows the user to tweak the image to their unique needs. Thus, if your eyes are weak, you should be able to compensate. Keep in mind that this features directly in the ‘Eye Relief’ of the particular pair of binoculars you are using. Those who provide a greater distance between lens and eye will be more comfortable for those who wear glasses. At the same time, the maximum magnification used will be less.